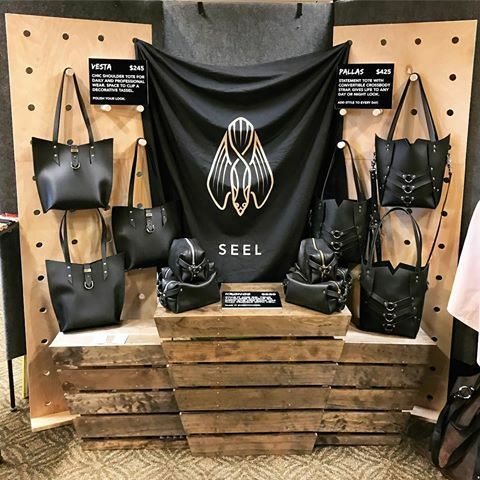 SEEL is committed to providing top quality American-made products to those who seek individuality (and functionality) in their accessories. We believe your accessories should be a definition of yourself - for the uncommon. We strive to push the boundaries of high end accessories by offering alternative designs. "Owned and operated by Brandon Wells and Jamie Seel, the company takes an unwavering stand against fast-fashion and fixates on quality design, craftsmanship, ethics, and local American production. SEEL ventures to offer designs that transcend the conventional and maintain local and ethical production. Our products are designed, patterned, sampled, and produced by hand in a small workshop in Columbus, Ohio. We believe firmly in ethical All-American production where craftspeople are paid fair wages for their skills, and work in a comfortable workshop environment.